Agua frescas are a simple fruit drink – they have fruit, water and lime. Sometimes, you add a little vodka or other alcoholic beverage for some kick. 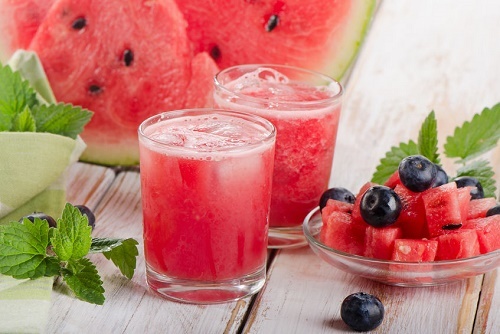 The secret to great watermelon agua frescas is to use the ripest watermelon that you can find. Once you have it, you simply need to run it in the blender with ice, add agave nectar and 2 teaspoons of lime juice.